GRANITEVILLE, S.C. -- The South Carolina representative who shouted “You Lie” at President Barack Obama during a joint session of Congress was on the receiving end of the same words in his district this week. U.S. Rep. Joe Wilson heard plenty of boos and chants of “You Lie” during a town hall Monday in Graniteville. Wilson drew yells from the crowd of about 200 people when he spoke about health care and violence against women. He said he supports local prosecutors in domestic violence cases, but he voted against extending the Violence Against Women Act in 2013. Wilson said after the town hall that he always learns a lot from a back-and-forth with constituents. His spokeswoman said too much attention was being paid to the brief yelling. 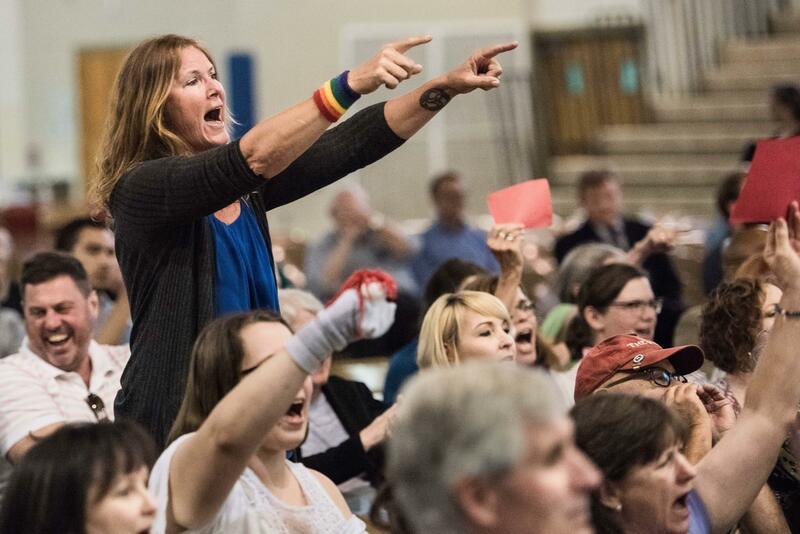 “The clip being circulated of Congressman Wilson’s town hall last night shows less than a minute of a positive event that lasted nearly two hours where the Congressman engaged with his constituents both in a town hall format and one-on-one after the official program ended, Wilson spokeswoman Leacy Burke said in a statement. Many GOP lawmakers have run into protests during similar meetings during the Easter recess. Wilson shouted “You lie!” when Obama unveiled the details of his health care proposal before Congress in 2009. Though he was later reprimanded for his lack of decorum, he won re-election in 2012 with 53 percent of the vote, compared to 44 percent for his Democratic challenger. This is his 16th year in the U.S. House. The congressman apologized for his behavior, and the president accepted his apology. Not everyone at the town hall was angry with Wilson. Bob Sullivan drove 60 miles from Columbia to Aiken County to attend the event.